Monteverde Extremo Park has one of the most beautiful views of the area, which can be seen throughout the tour, mixing the majesty of these, along with the extreme adventure of reaching the highest altitudes and admire the rich natural beauty of the forest and its treasures. 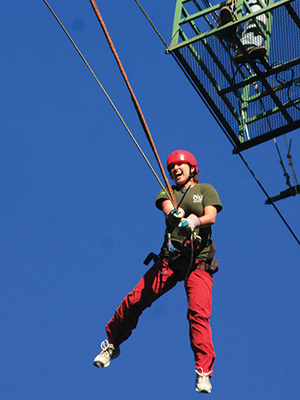 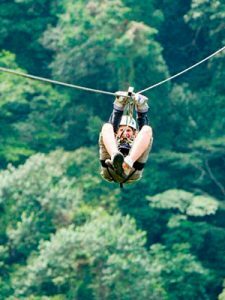 You will feel exciting emotions when you enjoy the huge tarzan, the giant rappel and fantastic distance of each of the cables, the highest 2550 feet long and 450 feet high. 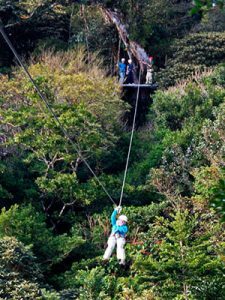 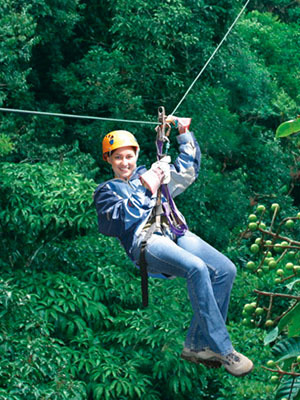 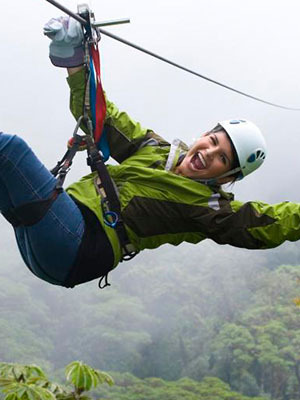 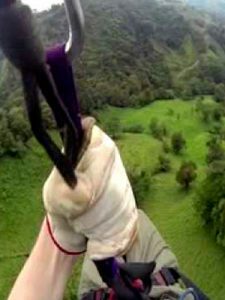 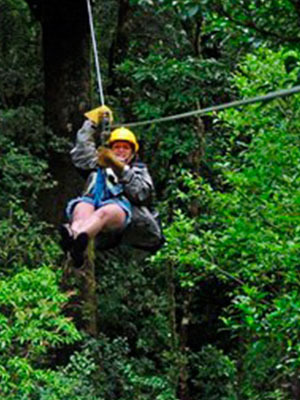 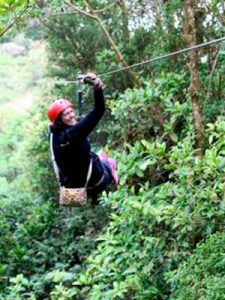 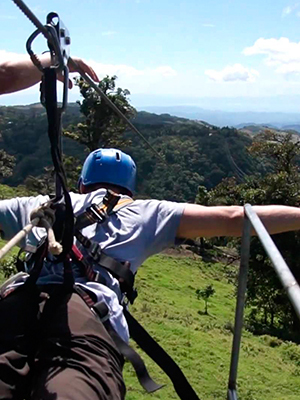 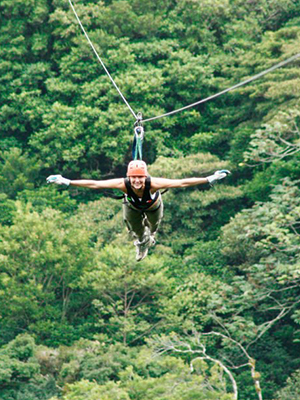 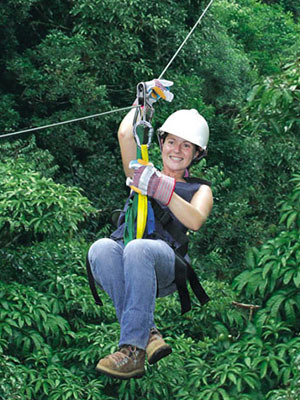 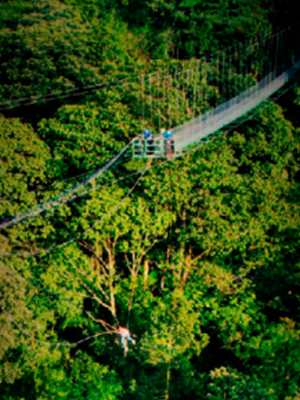 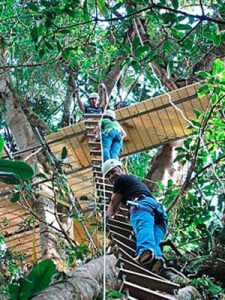 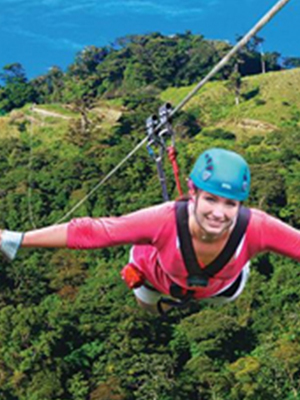 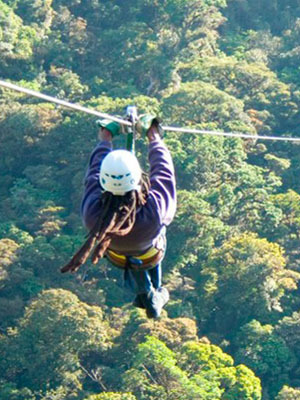 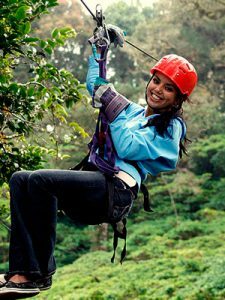 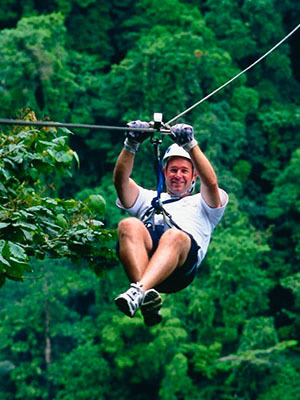 We are a 100% Costa Rican family owned Adventure park, dedicated to the tourism adventure for over 10 years. We specialize in canopy tour, which we have added some other adventures that will make your adrenaline go up to 100%, such as hammock bridges, rappelling cables, cable Superman and our main attraction, the MEGATARZAN SWING.